Stephen joined the practice in 2012 as Senior Project Architect. During this time, he has worked on multiple educational projects and various medium to large scale residential projects. In his new role, he will be responsible for resource management and coordination. Kevin joined the practice in 2006 and during this time has worked on various Design and Build Educational projects with the Department of Education and Skills. His new role will involve Implementation of office standards, compliance detailing and inspection protocols. He will also lead Fire Safety design, inspection and regulation compliance and ensure continued professional development across all teams. David joined the practice in 2006 and during this time has worked on various Rapid Build projects as well as traditional build projects. His new role involves the implementation of BIM within the office, with specific emphasis on Revit. He is responsible for setting up office standards and protocols for all Revit projects going forward, for the assessment of Revit skills of our staff members, and for ensuring all Revit projects within the office are modelling to the highest standards. Martin joined the practice in 1999 and during this time, has worked on various fit out projects, including office and restaurant fit outs and a variety of retail roll out type projects. His new role will involve managing and reviewing all the ongoing work across fitout, ensuring projects are compliant and delivered on time to our client’s needs. Kevin joined the practice in 2004 and during this time, has worked on various projects from hotels, spas, large scale residential, schools and commercial buildings in Ireland and the UK. His new role will involve developing the practices’ residential expertise and marketing it to our existing and potential clients. Antoinette joined the practice in 1999 and during this time, has worked as a Personal Assistant to the Managing Director. In her new role, she will be responsible for the overall day to day running of the office. 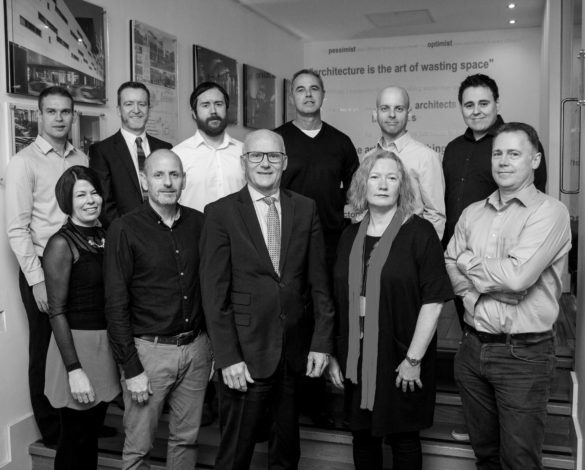 We would like to take this opportunity to congratulate all in their new roles and wish them every success for the future at Oppermann Associates.